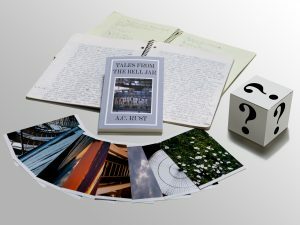 Tales From The Bell Jar is available in print and e-book editions! You can order it at your local bookstore, or order it on Amazon or Createspace. The proceeds from purchases of Tales From The Bell Jar go to benefit DreamCatcher Youth Services; the only shelter in Alameda County, California for homeless youth ages 13-18. If you want to make a bigger difference and support local art, we have goodies for you! You can buy the book at an increased cost and in return help a great organization and get cool stuff! 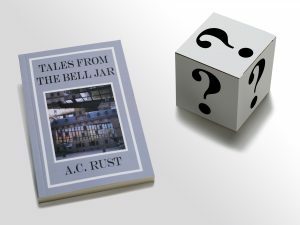 Receive a copy of Tales From The Bell Jar signed by A.C. Rust, $5 of your purchase goes directly to DreamCatcher Youth Services, AND RECEIVE A COOL MYSTERY PRIZE! What could it be? An original text from the book? A piece of art work? There is only one way to find out! 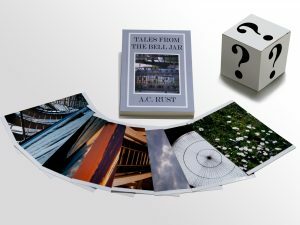 Receive a copy of Tales From The Bell Jar signed by A.C. Rust, $20 of your purchase goes directly to DreamCatcher Youth Services, receive a mystery prize, AND GET A PRINT OF ONE OF THE PHOTOGRAPHS THAT COULD HAVE BEEN USED FOR THE BOOK COVER WITH A HANDWRITTEN SHORT POEM/HAIKU WRITTEN BY A.C. RUST ON THE BACK!! With your generous purchase, you can support local art and make a difference in the community!